CeramaX reflects and refracts heat from sun. 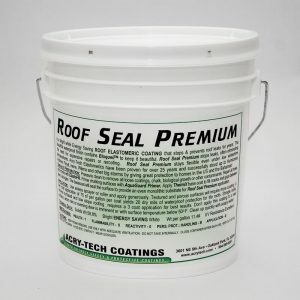 The ceramic microcells and special pigments including Bright White Reflective Titanium Dioxide in CeramaX protect against heat buildup in roofing substrates and walls. CeramaX is a high-build coating made from highly water-resistant polymers and additives that give flexibility and durability. CeramaX is based on previously experimental technical information. We’ve taken that information and we engineered Sealed Ceramic Microcells into our coating to give CeramaX the great heat reducing properties needed to make buildings more comfortable and cut Air Conditioning Costs. These unique ceramic microcells act like microscopic thermos bottles to keep heat out. 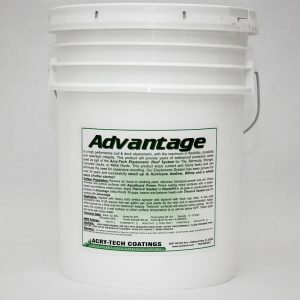 *Now you can paint-on durable protection from the sun’s HEAT and create a long lasting waterproof layer of protection. The CERAMIC that provides the MAXIMUM in protection, CeramaX! In South Florida, a recent test was made of the effectiveness of CeramaX and by using a special infrared thermometer, we measured the temperature of the typical asphalt roof on a sunny day in August. The temperature was a whopping 155°F and we could feel that heat burning our feet as we walked on the roof surface. The next day, the roof was coated with CeramaX What a huge difference! On the third day we came back to take temperature readings at the same time of day and the weather was the same as had been during our temperature readings prior. With the sun shining brightly and an air temperature of 93°F, the roof surface temperature was ONLY 95°F! That’s a heat reduction of 60°F! CeramaX prevented massive heat buildup in the structure that would have required a lot of extra interior insulation to compensate! Field tests, lab tests and most importantly, real-world use demonstrates that a 12-to-14 mil (only 12 to 14 thousands of an inch) coating of bright white CeramaX can block, reflect, refract and dissipate a tremendous amount of heat flow to the interior of a structure. This high percentage of heat reduction can benefit in keeping your home or building cooler without having to add insulation. These are the test results on an Asphalt roof at 2pm in summer in South Florida with 93 degree air temperature. 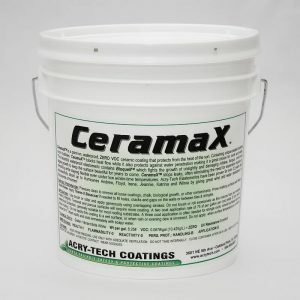 HEAT REDUCTION WITH CERAMAX – 60 DEGREES! * This value is higher because heat is reflected into the air above the coated surface. …and the list goes on and on. CeramaX will protect almost any substrate that needs to be waterproofed and protected from intense heat buildup from the sun. As the mighty sun rises, its scorching rays cook the surface of your roof with heat. Your roof gets hotter and hotter, transferring that uncomfortable heat to your living space. Your air conditioner works harder, requiring more maintenance, wearing out sooner and your monthly electric bill climbs. All the while, you’re less and less comfortable within the building. While your roof is being scorched, the seams, laps, flashings, fasteners and other components expand dramatically. The problem is that each component expands at a different rate and shear forces begin tearing at your roof. When the sun finally sets, the heat slowly bleeds off, some of the heat goes into the air and some into your living space. As this happens, the roof begins to contract, pulling and again shearing at the seams, laps, flashings and fasteners that all contract at different rates again. By eliminating heat buildup, CeramaX keeps your living or workspace comfortable and can save money on electric bills. Lowering the temperature of your roof keeps your living or workspace comfortable and saves money on roof repairs, too. Lowering the temperature of your roof by 10° , 20° , 30° or more as CeramaX can do, may reduce cooling costs by up to one-third! Imagine cutting your cooling costs by 30% or more! You can with CeramaX. CeramaX also helps prevent thermal shock. A hot roof can experience thermal shock when a passing shower of cold rain hits the hot roof causing a rapid and tremendously violent contraction. These violent contractions can rip seams open, pop fasteners out of the roofs substrate, pull flashings out of the imbedding plies and generally destroy your roof. Keeping your roof cool prevents the radical contraction that leads to “ROOF SHOCK”, premature roof failure and costly replacement costs. CeramaX keeps your roof cooler thus greatly lessening the shearing that can destroy your roof. 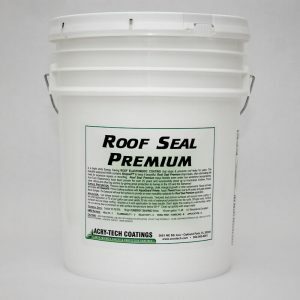 The result is… Your roof lasts longer! Considering reduced electric bills, less wear and tear on air conditioner components, extended roof life, increased comfort and the beauty supplied, it’s almost COST FREE! If you’re paying only ten cents per kilowatt-hour, CeramaX will help pay for itself before you know it. If you’re paying more, your return is even faster. Clean up: Soap and Water on wet material. Thinner: Add a small amount of water if needed. CeramaX for Trailer Roofs Application Information for road trailers. I just want to share with you how I am happy with the Ceramax coating I put on my teardrop camping trailer. The thing is great after 12,000 km and 1 winter. The plywood warped a bit during the winter which lead to it being looser in some spots but the coating bent and kept it all together and leak-free as it appears. I am very fond of your products, which for every application I used them on, turned out to be better than expected. I really like the great return on the money spent. It’s rare these days to pay more for more quality… I feel that companies now have walked out of that path, for the more you spend, the more gadgets and quantity you get rather than quality. Thanks, keep up the quality work.